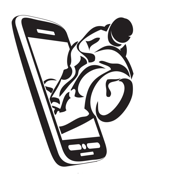 Moto Life application is intended for bikers and all moto fans! Here you can find moto shops, moto service stations, evacuators, moto cafe, moto schools, moto clubs and many other moto places! Useful MAP will help you to localize yourself and the nearest places, which are popular among bikers. Use map filters for more convenience. The GARAGE lets you track your motorcycles (and cars) service chronology. New section "Upcoming Events" is exactly what all bikers want. You're always in the know! Also, there's a SOS button for MOTO HELP emergency call : if you're involved in accident or for any technical or legal consulting. MotoLife application is constantly improved and gets more and more positive feedbacks. Currently our database is not really huge, but it gets larger every week!